Do You Have To Go To The Chiropractor For The Rest Of Your Life? When I am out in public and tell people that I am a Chiropractor, one of the most common statements I hear is “once you start seeing a chiropractor, you have to go for the rest of your life” or that “you get addicted”. As a Chiropractor and health advocate, I would like to dispel this myth and shed some light on the subject. When you get into a routine of working out, do you feel better? Yes. Most people who exercise regularly notice an increase in muscle tone, weight loss, more energy, less stress, and an improvement in his/her overall mood. When you eat healthy, does your body feel better? Yes. The food you consume has a direct impact on various aspects of your physical, chemical, and emotional well-being. Individuals who choose to eat organic, whole foods enjoy a better quality of life. When you are adjusted, do you feel better? Yes. The chiropractic adjustment allows your nervous system, the master control system of the body, to function optimally. People who are adjusted regularly experience less pain, need fewer medications, become sick less often, and notice an increase in overall mood, sleep, energy, and quality of life. As a Chiropractor, my patients do not HAVE to come into the office for the rest of their lives. 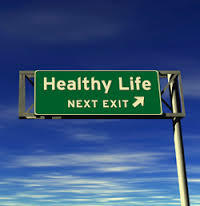 However, many see the benefits and CHOOSE to make chiropractic care a part of their healthy lifestyle. My patients value living a pro-active lifestyle in all areas of their life whether that be nutrition, exercise, or chiropractic care. What types of activities do you engage in as part of your healthy lifestyle? We would love to hear! Please leave a comment for us below. https://blossomfamilychiropractic.com/wp-content/uploads/2016/01/Chiropractic4life.jpg 206 200 Savy Irby https://blossomfamilychiropractic.com/wp-content/uploads/2019/01/blossom-logo-grey-l-1030x216.png Savy Irby2016-01-18 12:32:392016-05-10 12:57:52Do You Have To Go To The Chiropractor For The Rest Of Your Life? Should My Baby Be Checked By A Chiropractor? Does Chiropractic Care Help With Colic?